As the question says, what other paint can be used for lexan/polycarbonate bodies without cracking/peeling when the plastic flexes? Tamiya spray cans are expensive and can't mix personalized colors using them. I'd like to paint using my airbrush and mix my own colors. I use automotive acrylic and polyurethane for my painting applications using airbrush and spray gun. Was wondering if I could use them for polycarbonate too. Yeah, I was told Spazstix was water based. I spend the bottle and NO. I really hate cleaning up after enamel paints. I airbrushed T-shirts years ago, and Createx was one of my "go-to" paints. However, I haven't painted any of my own RC bodies before, but I am gearing up to start (new airbrush & compressor should be delivered in 2-3 days, and hope to order a new spray booth before the end of the day). I know Pro-Line has their lineup, but I am interested/curious in knowing what Createx paints work best. When I was airbrushing T-shirts, they only had one line...but, now, I see they have several different paint lines, with two standing out as the "highest probability" - Createx Airbrush Colors (my old "go-to), and Wicked Colors. If I were to go with Createx, should I just stick with what I've used in the past (albeit, on T-shirts), or can their Wicked Colors line be used on Lexan RC bodies? 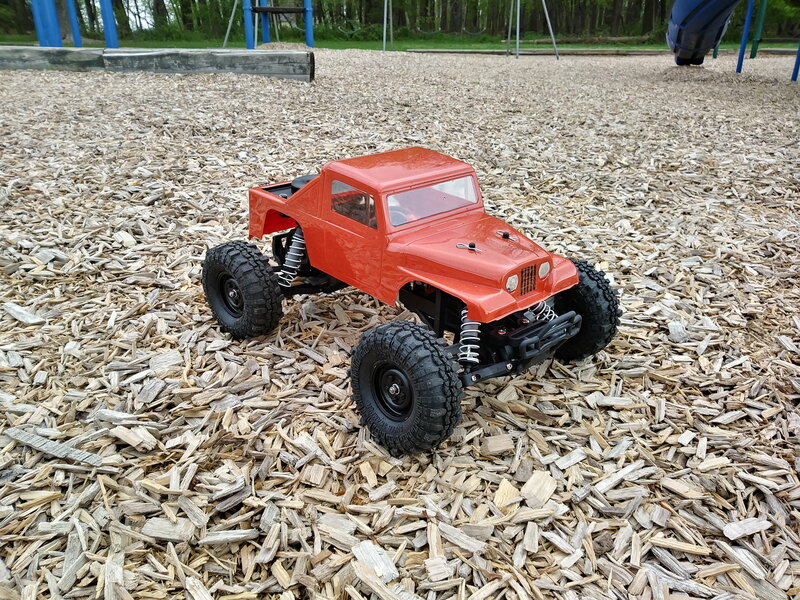 Speaking of Pro-Line RC Body Paint, compared to Createx, is one better than the other in terms of quality, durability, etc? And, are there any other brands that should seriously be considered? I haven't airbrushed in over 20 years, and I'm sure the paint technology has advanced at least somewhat since then...plus, again, my previous airbrushing experience has been with T-shirts (ok, and a few other things...leather, travel mugs, jewelry boxes, etc)...thus why I'm asking. I'm sure all the currently-available brands are "good", and I'm not necessarily looking for "the best", but I do want something that's among the best quality, is durable, and offers at least a fairly large color selection. Yes...and no. Yes, you can buy Pro-Line RC paints...but they don't make them. Pro-Line's paints are made for them by...Createx. So, whichever you get, you're getting excellent quality paints (I was using Created paints for airbrushing T-shirts over 20 years ago). Last edited by Panther6834; 04-19-2019 at 05:16 PM. Decided to go with Createx's Wicked Colors line.